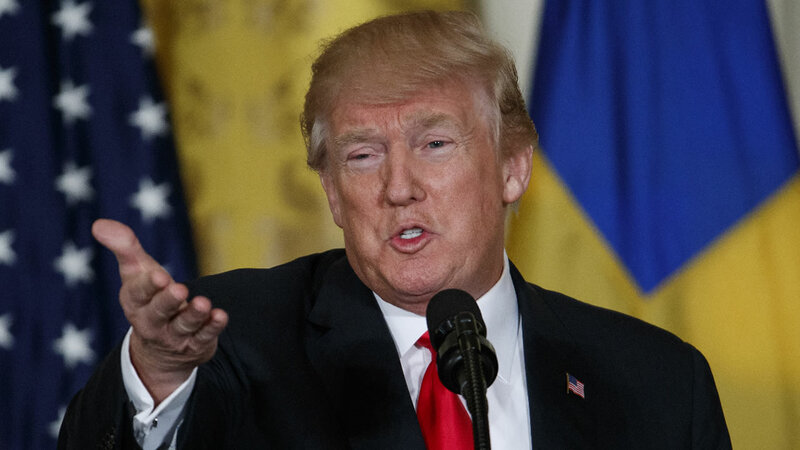 WASHINGTON -- A judge recommended Thursday that President Donald Trump mute rather than block some of his critics from following him on Twitter to resolve a First Amendment lawsuit. U.S. District Judge Naomi Reice Buchwald suggested a settlement as the preferred outcome after hearing lawyers argue whether it's constitutional for Trump to block some followers. "Isn't the answer he just mutes the person he finds personally offensive?" she asked. "He can avoid hearing them by muting them." Lawyers on both sides said they saw merit to the judge's suggestion but would need to consult with clients. "It's not a perfect solution, but certainly, it is a pretty good one," said Katherine Fallow, a Knight institute lawyer. U.S. Department of Justice attorney Michael Baer agreed muting would enable Trump to avoid reading a tweet he doesn't want to read. "Like with every case, there is always a risk you can lose," she said. "If there's a settlement, that serves the interests of all parties. It's often considered the wisest way to go." The lawsuit was filed after Trump blocked some Twitter users from @realdonaldtrump, a 9-year-old account with nearly 50 million followers. Baer argued that it was Trump's prerogative, no different from the president deciding in a room filled with people not to listen to some. She quickly added, "I'm not remotely suggesting that citizens have the right to insist someone in the government read their mail. No one has the time. There are not remotely enough hours in the day." Baer urged the judge to toss the lawsuit on jurisdictional grounds or to find that blocking some followers doesn't violate the First Amendment because Trump is not regulating access to a public forum on Twitter. Jameel Jaffer, the Knight Institute's director, told Buchwald it was not necessary to issue an order against the president himself, since there are others involved with his account who can be required to enforce her decision. Fallow asked Buchwald to find that Trump's Twitter feed is an official government account that operates as a public forum and thus blocking critics violates the First Amendment.